Frieze Art Fair London 2012 supported the Outset Art Fund for Tate. Frieze Art Fair London 2012 supported the Outset Contemporary Fund for Tate. 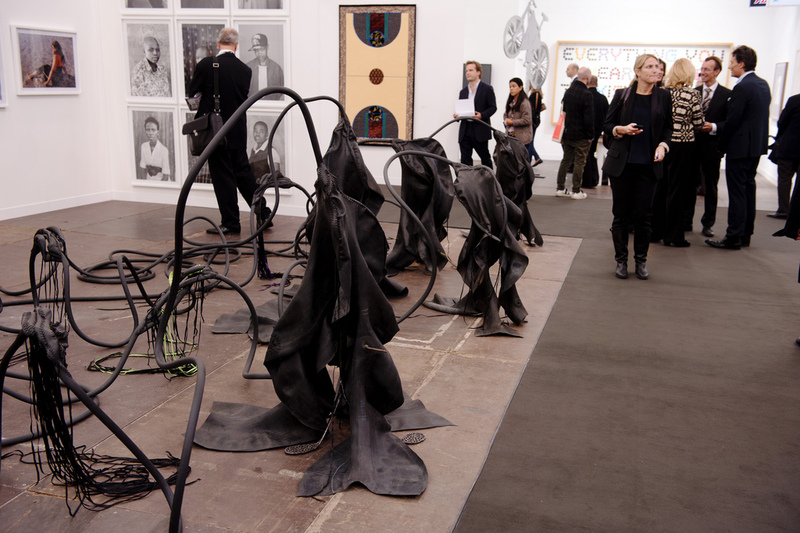 Frieze Art Fair London 2012 has supported the Outset Frieze Fair for Tate Collection. The Frieze Foundation, instead, has presented a consistent programme of Talks, Artists’ commissions, Film and Music projects. With Amanda Sharp and Matthew Slotover as Directors – also founders – Frieze Art Fair London 2012 was arranged with the Main Gallery, Focus and Frame sections, the newly inaugurated Frieze Masters and the Sculpture Park. This is the tenth year of the unique partnership between Outset, Frieze and Tate. Based on the generosity of Outset Fund, a charitable foundation focused on supporting new art, the fund enables Tate to buy important works at the fair for the national collection. Directed by Candida Gertler and Yana Peel, the Outset Contemporary Art Fund is a philanthropic organisation dedicated to helping new art by bringing private funding from their patrons, partners and trustees to public museums and art projects. With a fund that has totalled over £1million over the duration of the partnership, 90 works by 60 significant international artists have been collected since 2003. The Fund is organized and financed by Outset Contemporary Art Fund and supported by Le Méridien Hotels & Resorts. The donors to Outset have a particular interest in enabling Tate’s acquisition of emerging and international art. Each year Tate invites two international curators to work as part of the selection panel for the Fund. The 2012 Outset/Frieze Art Fair Fund guest selectors were: guest selectors Mami Kataoka, Chief Curator of Mori Art Museum, Tokyo, and Franklin Sirmans, Chief Curator of Contemporary Art, LACMA. They were joined by Tate curators Ann Gallagher, Head of Collections, British Art; Frances Morris, Head of Collections, International Art; Tanya Barson, Curator, International Art and Clarrie Wallis, Curator, Contemporary British Art. Jack Whitten (born 1939) Epsilon Group II, 1977, Oil on canvas, 161.3 × 161.3 cm, from Zeno X Gallery, Antwerp. « The Sistine Chapel 500 year’s anniversary and the Raphael Cartoons in London.